(again). Jenna just posted this on her blog–as in today–and she tagged me. She was my accountability partner for NaNo (I don’t write, so I participated in a do-a-large-crochet-project-in-a-month, and epicly failed. I’m also not going to tell you the name of that project since y’all are going to laugh at me. ;)) and a good friend of mine, so PLEASE GO CHECK HER BLOG OUT. 1. How many books are too many in a series? I don’t think there can be too many books in a series if it’s a well-written series. If it’s an okay series, I’d say anything less than 5 is good. 2. How do you feel about cliff-hangers? I DISLIKE THEM WITH A PASSION. Seriously, authors, please don’t do this (unless the next book is available immediately for free. :D). This will be very contrary to popular opinion… but paperback 100%. Yes, hardbacks are nicer to look at, but I strongly dislike reading in them. Also, they’re hard. I prefer soft books. xD Not to mention how heavy they are! Hmm… here’s some that I’ve recently read and didn’t like. 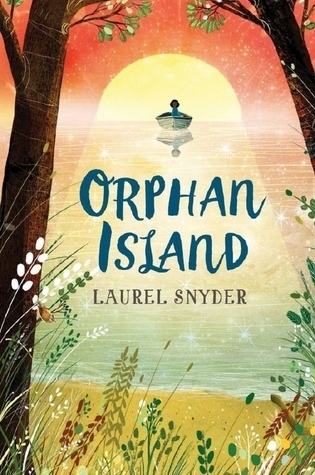 Orphan Island by Laurel Snyder (1 star read). I really didn’t like the themes in this book. A lot of the scenes disgusted me and made me feel kind of… slimy? dirty? after reading it, so I definitely won’t be reading this again and I certainly wouldn’t recommend it to anyone. 6. Love Triangle… yes or no? White Wolf and the Ash Princess. Don’t get me wrong- this is a really good book! I started this book at least three weeks ago, but I got in a reading slump. It’s hard to pick it back up since it reminds me of the reading slump. I’m going to try to push through it and finish it this week, though. Hmm… that’s difficult, since I recommend books to people all. the. time, albeit it be indirectly or directly. I remember recommending a book to someone in the Inkreaders group I started, though, so I’ll go with that (check it out here! please join!). 10. Oldest book you’ve read (based on publication date)? 11. Newest book you’ve read (based on publication date)? We’ll have to look into the ARCs for this one. Normally when I read the latest releases / to-be-released books, it’s because I’m reviewing them, so I’ll have to look into my reviews shelf on Goodreads. Okay, I think it’s A Silken Thread by Kim Vogel Sawyer (it releases in April, 2019). GUYS. You must read this book. The spiritual themes in it are so good, and I love the way it addresses the issue of racism. You can read my review here. 13. Buying books or borrowing them? If they’re in said favorites shelf, um, buying them. Of course. If I’ve heard many friends rave about how good they are… I’ll probably buy it. But then again I might just use that money to buy a favorite book I’ve read before. *shrugs* If only a couple of my friends have read + liked them, I’ll probably borrow them from the library. 14. A book you dislike that everyone else loves? At the top of my head, all I can think of is Unblemished and Orphan Island. I have friends who LOVE those books. Bookmarks because they’re pretty. If I absolutely have to dog-ear a book though, I can without becoming a little tragic flower. 16. A book you can reread over and over? Probably the Ranger’s Apprentice series, Blades of Acktar series, or Ilyon Chronicles (though, *cough*, I’ve only read the first book in the Ilyon Chronicles. I can already tell it’ll be a series I’ll devour, though). 18. Multiple POVs or one POV? For those who don’t know, POV means “Point of View” (as in 1st person- I walk the dog. I like walking the dog. 2nd person- You walk the dog. You like walking the dog. 3rd person- She walks the dog. He likes walking the dog). I prefer one POV- two at most. 19. Do you read a book in one sitting or over multiple days on average? Okay, sorry. xD I realize that I’m unusually snarky in this post… um, sorry. But before you leave, please drop by in the comments! I want to hear what you thought of my answers and what YOUR answers would be to any of them, so either comment your answers or feel free to tiptoe this tag to your own blog! Thanks, friend! DUDE YES YOU NEED TO. I love your answers and would love to see the post you were going to do! Thank you, Abigail! I’ll definitely try to do it soon. I have a favorite series… but I can’t pick a favorite book in the series! 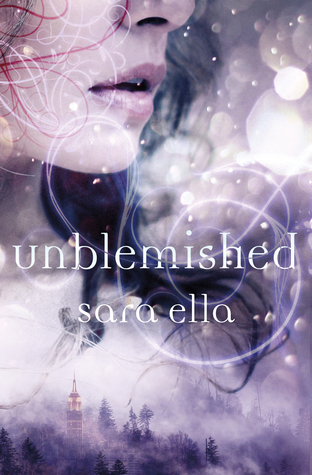 *is talking about Keeper of the Lost Cities* I’m currently reading Unblemished right now and I’m really enjoying it. Yes, I finished it the day after it came out. 😁 AHHH THAT CLIFFHANGER *dies* Have you read it? By the way, I forgot to tag you! If you want to do this, feel free to! Aw, thanks. Maybe I will! Great post and I love your answers, Lilian! THANK YOU FOR THE TAG!! CAN’T WAIT TO DO IT!! Yes, I know you loved Orphan Island! I’m sorry I didn’t like it. 😦 xD but the cover is so prettyyyyyyyyyy! Oh, you should! I can’t wait to see your answers! ❤ Thank you for commenting, Kate! No worries or apologies! I had some “unpopular opinions” in my own post too. 😉 Yes! Whoever did it did an amazing job!! I totally relate to having a hard time choosing one favorite! In recent years, I’ve finally succeeded in figuring out which books and authors are my top favorites, and ranking them loosely. But beyond those few, i have no idea – and until recently, I had no idea of any order apart from my single favorite book, Lord of the Rings. (At least I’ve always known that one!) 🙂 But I have so many favorite books, and it’s so hard to put them in any sort of order. And they’re all so *different* that it’s hard to rank even my favorites. My all-time favorites shelf on Goodreads has 69 books – haha! And I have a broader favorites shelf that includes ones outside that as well, with twice as many. D: 😛 XD Bookworm problems, hahaha! I’m with you on listening to music while reading – impossible for me. I need silence or white noise. I haven’t read any betas or ARCs recently, so the newest book I’ve read is A Royal Masquerade, published Nov. 2018. But I beta-read that one in April, so it’s been my newest read for a while! I either didn’t know or didn’t remember that you were a Ranger’s Apprentice fan! 😀 Me too! They’re great books. Eyy, you love LotR too! Have you seen the movies? It's my favorite movie of all time, haha. I really enjoyed the books too, but not as much as the movies (probably an unpopular opinion XD). That's so cool! I'm sure I have some books that have been published a long time ago… it's just the matter of being finding those books. XD And I don't really collect old books, so, *cough* there probably aren't many anyway. How did you like Pride and Prejudice? I've been thinking of branching out and trying some classics, but my favorite genre is contemporary, so I don't know how much I'd like reading the classics. Awww, I’m so glad I did too, and that it made you happy! You’re welcome! I like P&P! It used to be my favorite classic, and I still enjoy it. I also love the 1995 movie, but not the 2005 one. The 1995 one does a better job of adapting the story, imho, and since it follows the book well, it can help you understand the story when you read it. I think you might enjoy it! It’s so witty and engaging if you can follow the story and writing, and get past the density and old-fashioned style. There’s a lot of awesome snark and satire, and all the characters are fascinating, entertaining, and well-developed. Adult classics are a challenge, and take work to enjoy (at least for me), but it’s worth it – and Austen is easier than Dickens. The Scarlet Pimpernel is a lot easier and shorter if you want to first try a classic that’s not challenging. And if you haven’t read children’s classics like A Little Princess, you should try those too. 🙂 I think you’d like those even if you mostly read contemporary – though they are definitely historical fiction. P&P actually counts as contemporary, but not to a modern reader, haha! Same here! It’s awesome, and I love it dearly. 🙂 I’m really enjoying your updates as you reread! Thanks so much for tagging me! dude you should totes do it!! I seriously love tags and I migggghhhht be slightly obsessed with them. OH MY GOODNESS I KNOWWW. I kind of have a thing against hardcovers, *cough*. I mean yes they’re pretty (though I may or may not have my doubts on whether they’re prettier than paperbacks *COUGH*) and durable but seriously paperbacks for the win.